Dr Nana Ayew Afriye, the Member of Parliament (MP) for the Effiduase/Asokore Constituency, is supporting education delivery in the constituency with the provision of critical educational needs to the District Directorate of the Education for selected schools and students. The assistance funded by his share of the e MP’s common fund include; a GH¢10,000.00 scholarship scheme for brilliant but needy students starting from this academic year and a GH¢20.000.00, for the facilitation of free vacation classes for all students in the District. The Directorate for its part, has received four new motor bikes in addition to the refurbishment of an old, non-functioning pick-up vehicle, which is now back on road, to enhance mobility in its work. In addition, a three-unit pavilion classroom blocks for the T.I Ahmadiyya JHS at Asokore and the Effiduase Demonstration JHS, have been inaugurated with the donation of 160 dual desks, to be shared between the two beneficiary schools. 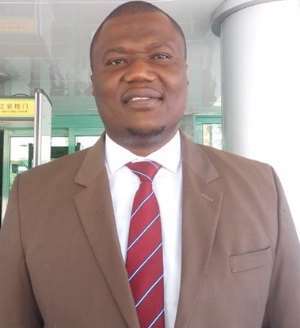 The gesture, according to the MP, was his bid to help reverse the current declining performance of the Basic Education Certificate Examination (BECE), over the last three years in the District. BECE performance in the District according statistics from the District Directorate, declined from 69 per cent in 2016 to 63 in 2017 and 55 in 2018. Addressing a durbar held at Effiduase at the instance of the donation, Dr. Afriye said his priority was to improve infrastructural development in the educational sector in the District, rallying the support of all stakeholders within the area in that venture. Mr. David Oppong, the District Director of Education, commended the MP for the support and reiterated his outfit’s commitment and readiness to improve academic performance of students. He urged teachers to strengthen efforts in teaching and learning in their various schools in order to make the support relevant and achieve the intended purpose. Nana Ntiamoah Amankuo II, Banmuhene of the Effiduase Traditional Area, praised the MP for the support and urged the Directorate to be bold to implement necessary measures that would help improve the academic performance of the District. Nana Sefa Boakye, Nifahene of the Asokore Traditional Area, also lauded the MP for the support and called on parents and school children, to make good use of their time spent at school and learn hard to become successful adults in the future.